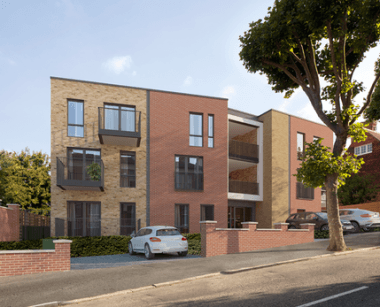 Situated in West Norwood, Cheviot Gardens comprises of 18 one and two bedroom apartments available to buy through the Older Person's Shared Ownership (OPSO) scheme. This scheme has the added financial benefit that allows you to own 75% share without paying any rent on the remaining 25%, which could free up extra equity to enjoy life now. The Older Person Shared Ownership (OPSO) scheme, formerly known as Home Ownership for Older People (HOOP), is for people aged 55 or over who are otherwise unable to afford to buy a home suitable to their needs. 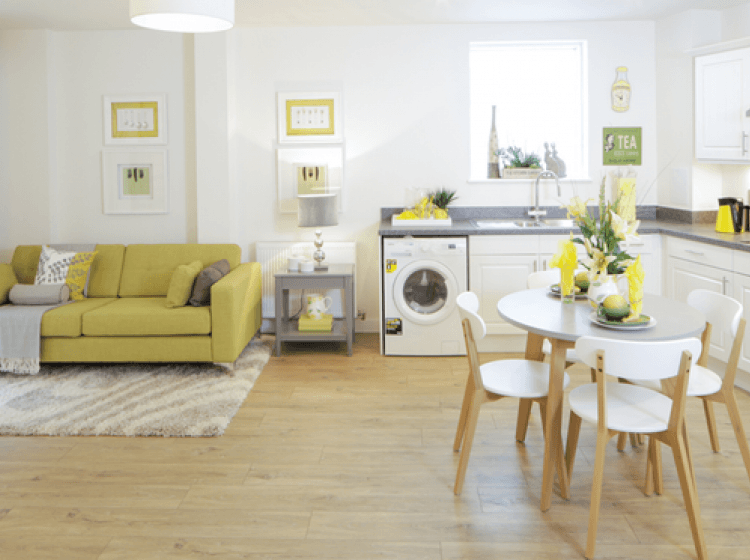 The scheme is similar to Shared Ownership and enables you to buy a 75% share of the home or apartment. *This offer is only available to buyers purchasing an apartment who viewed on or after 2nd September 2017. Please note you'll be required to pay your initial legal fees, as our incentive is only payable once completion has taken place. **Details of care package and service charge available on request. ***Images are a mix of computer generated images of Cheviot Gardens and show home photography. 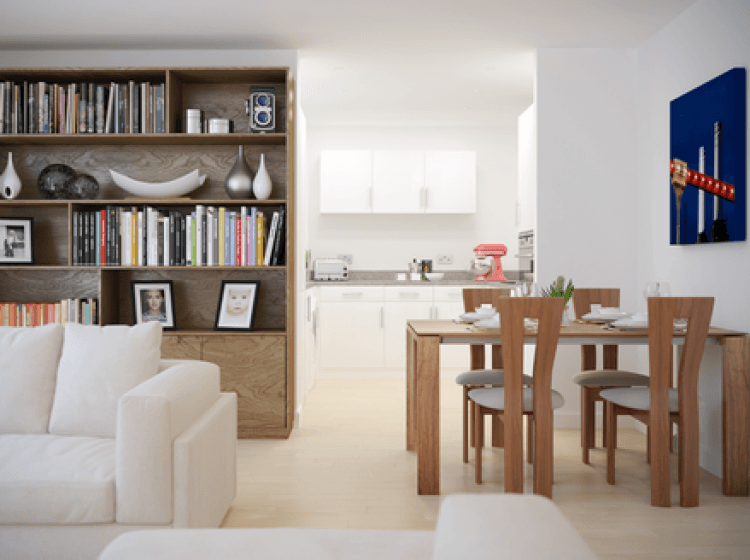 of previous Notting Hill show home The Exchange, intended for illustrative purposes only. These single level, self-contained apartments have an open plan living room and kitchen, and private outdoor space. The properties benefit from timber effect flooring to living areas and carpet to bedrooms, TV points and cable points are located in the master bedroom and living room. 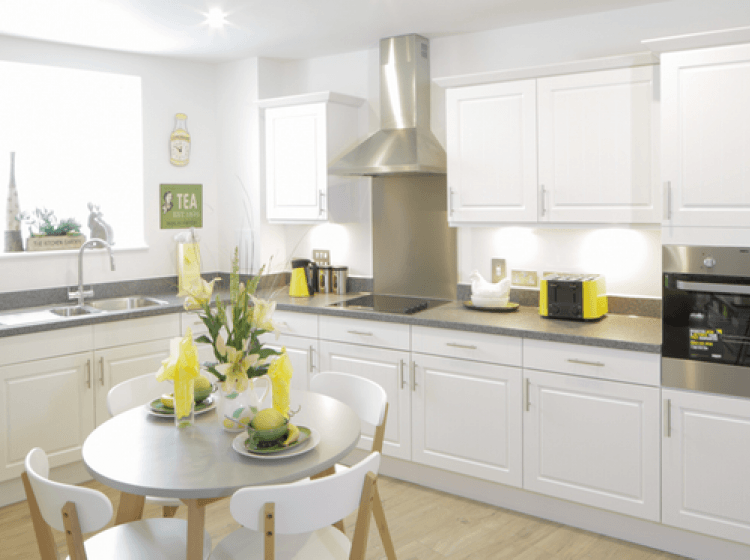 Kitchens have white linen kitchen units and Zanussi appliances - ceramic electric cook top, conventional oven, fridge-freezer. 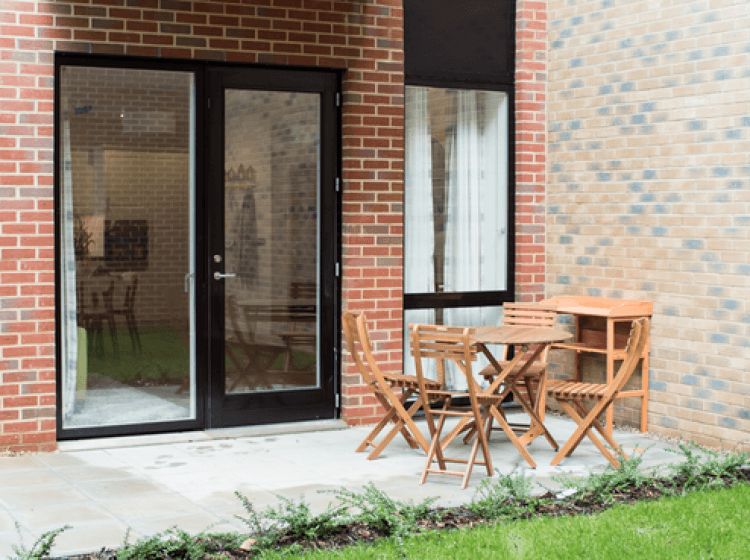 The apartments are adjacent to a state-of-the-art extra care facility, and residents can subscribe to care packages (details of care packages and service charges are available on request). All residents will also have access to tranquil communal landscaped gardens, lounge and cafe, and will have an opportunity to participate in a range of activities and classes. 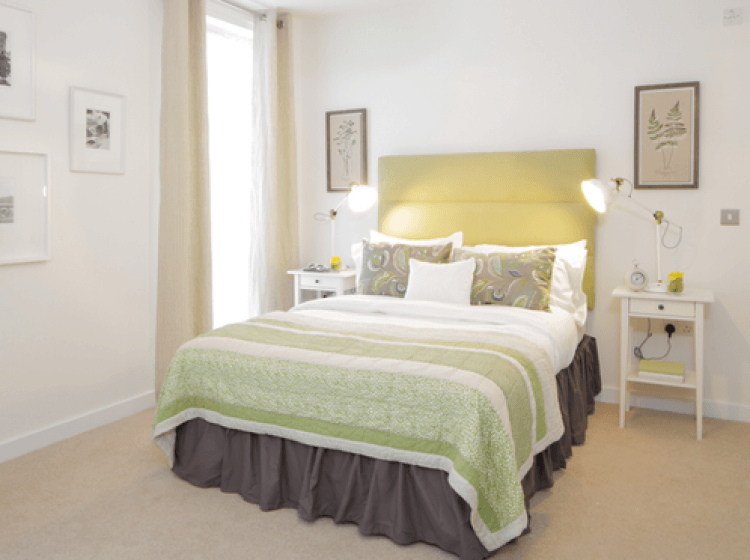 These homes are set within a lovely residential area with many local amenities to enjoy with friends and family, including shops and cafes, restaurants, a library, church and green spaces at Norwood Park and Streatham Common. Cheviot Gardens is well positioned just 0.5 km (a seven minute walk) from West Norwood station, which offers regular services to London Bridge (28 min journey) and Victoria (20 min journey). Tulse Hill station is a short bus journey (15min) away and provides a service to Blackfriars and St. Pancras.